Marie Kondo's unique KonMari Method of tidying up is nothing short of life-changing--and her first book, The Life-Changing Magic of Tidying Up, has become a worldwide sensation. 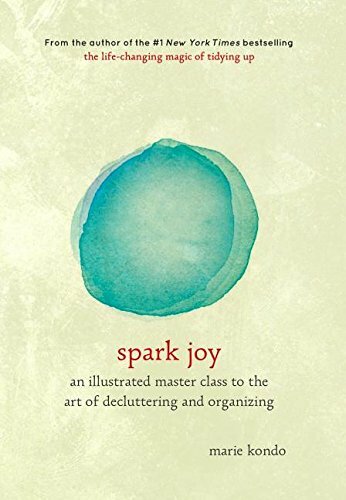 In Spark Joy, Kondo presents an in-depth, illustrated manual on how to declutter and organize specific items throughout the house, from kitchen and bathroom items to work-related papers and hobby collections. User-friendly line drawings illustrate Kondo's patented folding method as it applies to shirts, pants, socks, and jackets, as well as images of properly organized drawers, closets, and cabinets. This book is perfect for anyone who wants a home--and life--that sparks joy.